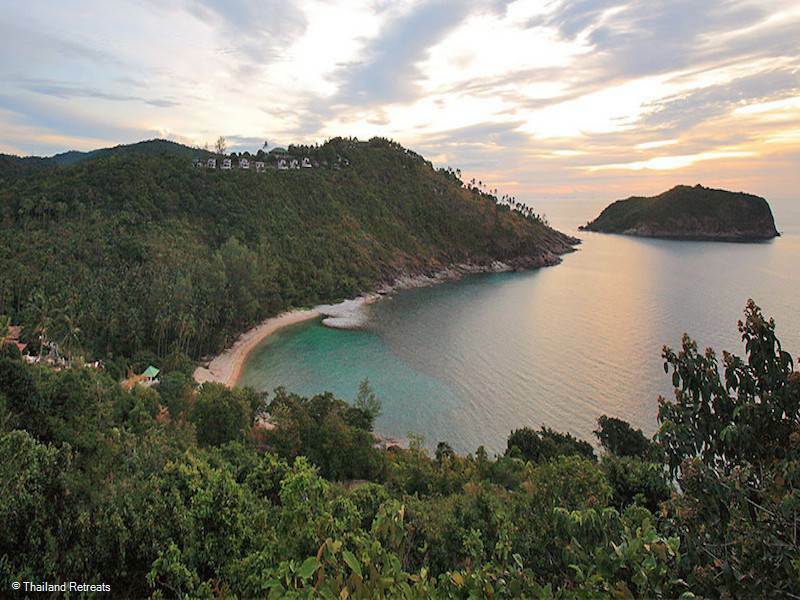 Chaloklum is located in the north of Koh Phangan and is ideal for families and couples alike, it offers something for everyone. 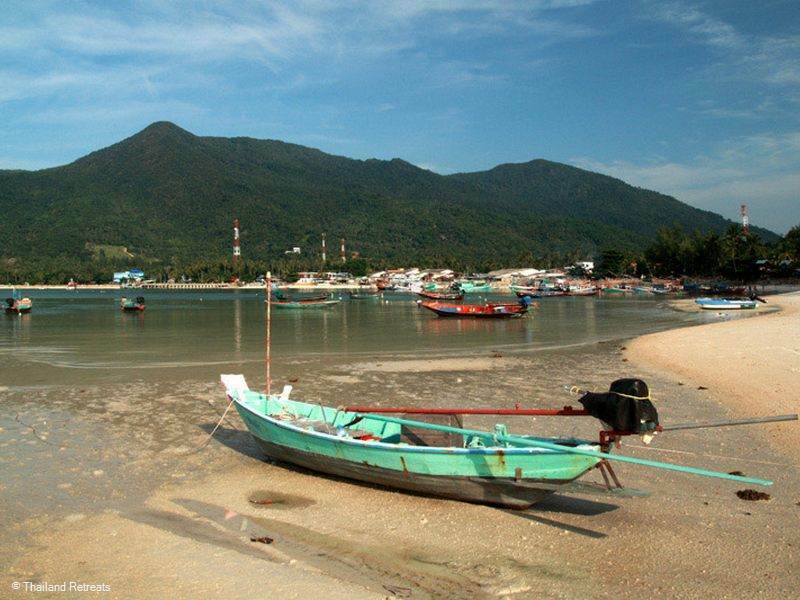 It is a major fishing village and boasts a wealth of seafood restaurants serving fresh locally caught delicacies. Chaloklum beach is 2.5km long, with the village located in the middle and the fishing trade dominates this mid section of the beach. 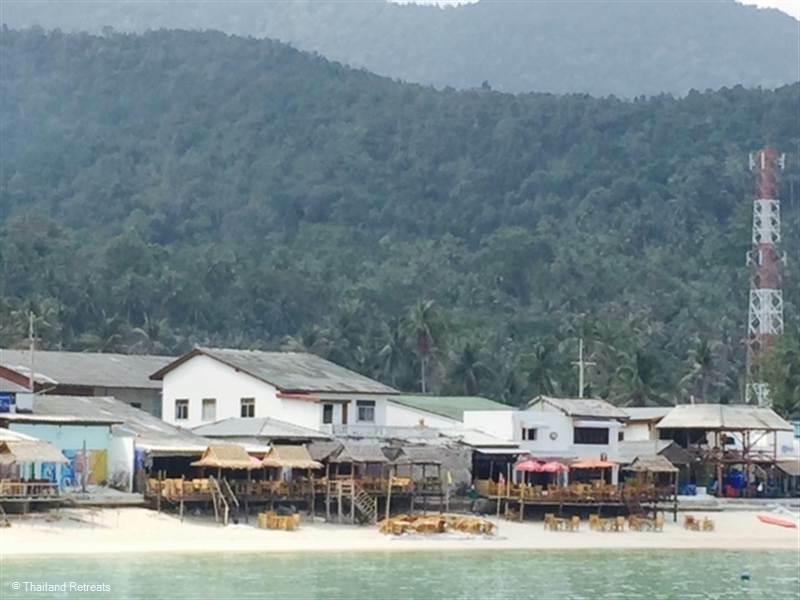 There are nice stretches of beach either side of the village, the sand is coarser and not as white as it is exposed to the north and east coast of Koh Phangan. Swimming is limited to the months of December to March when the tides are higher. 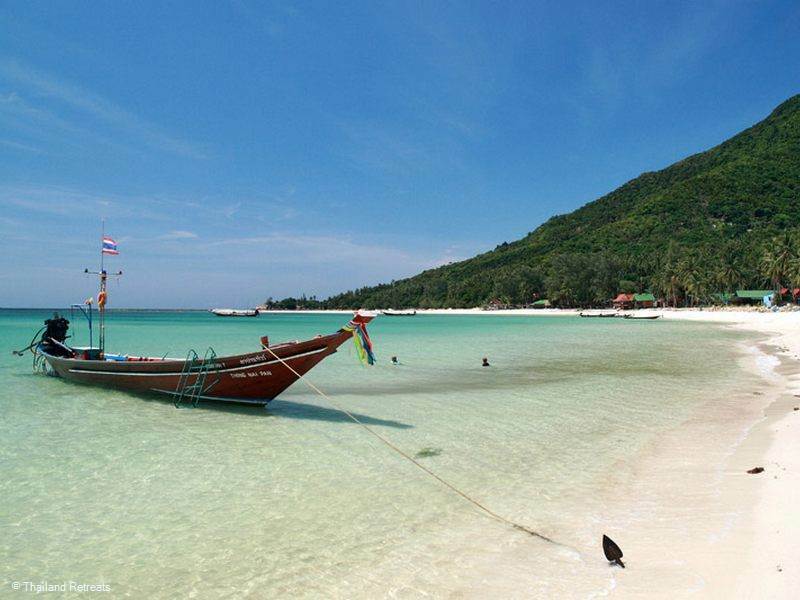 West of Chaloklum is Haad Thong Lang that translated means “Golden Deserted Beach” and it is exactly that. It is accessed by a 800m rough dirt road and then a walk down to the beach and is more or less uninhabited. In the high tide season a lagoon is formed by a coral reef and is well worth a visit for a spot of snorkeling and to enjoy a desert island feel. Haad Kohm is a bay located north of Chaloklum bay and again has a living coral reef sheltering it from rough seas and this beautiful area is popular for the snorkelling boat trips where there is an abundance of marine life amongst the coral. 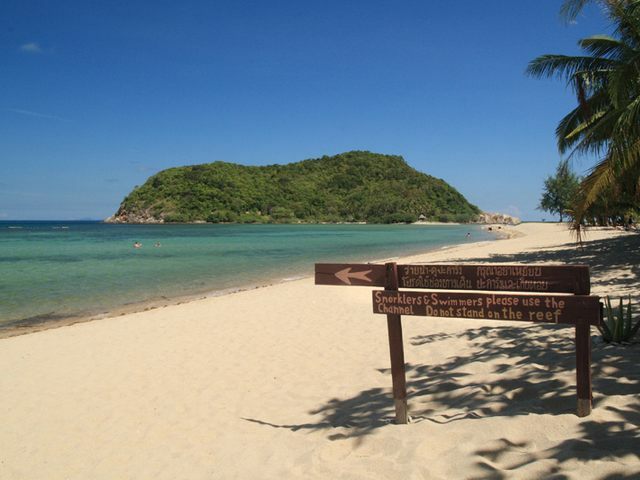 West of Chaloklum is Haad Thong Lang that translated means “Golden Deserted Beach” and it is exactly that. It is accessed by a 800m rough dirt road and then a walk down to the beach and is more or less uninhabited. In the high tide season a lagoon is formed by a coral reef and is well worth a visit for a spot of snorkelling and to enjoy a desert island feel. Haad Kohm is a bay located north of Chaloklum bay and again has a living coral reef sheltering it from rough seas and this beautiful area is popular for the snorkelling boat trips where there is an abundance of maine life amongst the coral. 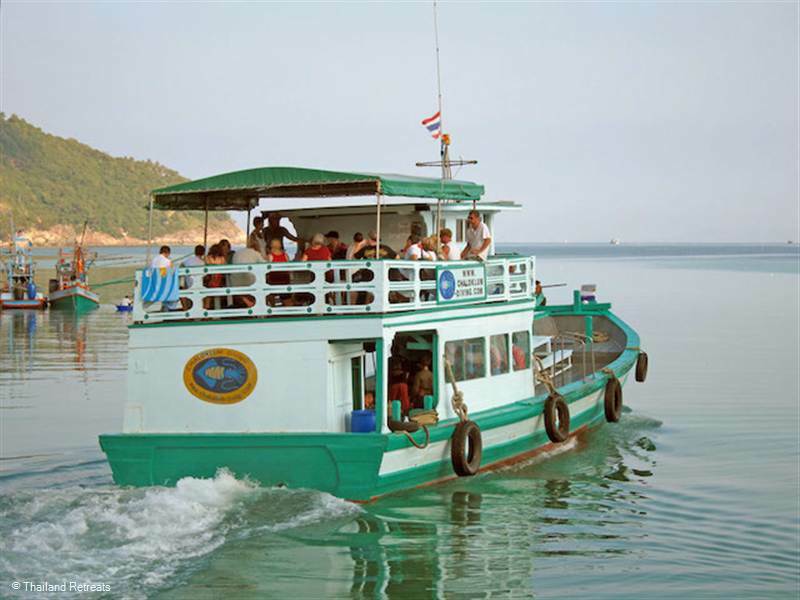 Eat in the local restaurants and enjoy the view of the colourful handcrafted fishing boats, whilst enjoying a leisurely lunch on the waters edge. Being a major fishing village, Chaloklum offers a wide variety of seafood restaurants, with fresh local catches to choose from scattered through town and near the pier. Most bungalow setups offer their own simple little restaurants with inexpensive Thai food and some western options. 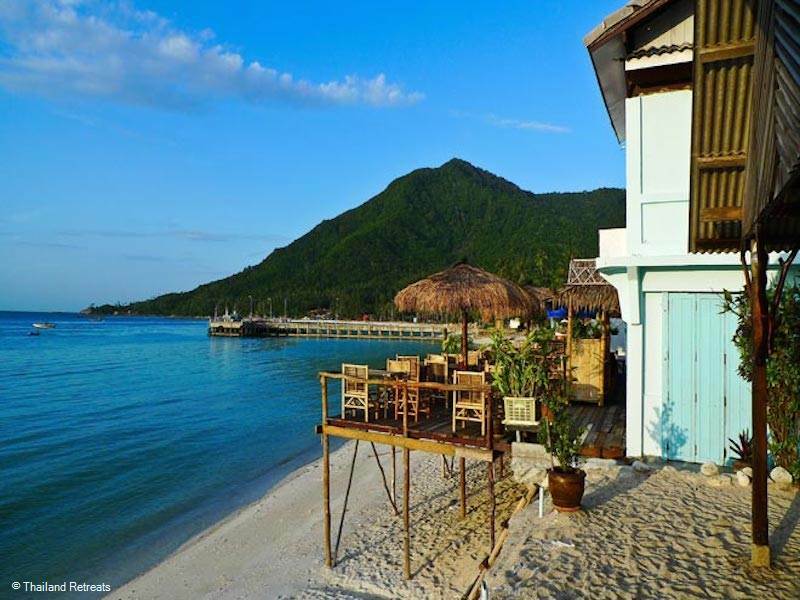 Several popular bars cater to the diving and expat nightlife including popular Gemini Bar attached to Sail Rock Divers, The Lost Dog which is lively and has a pool table and The Crow Bar which also does Sushi.